My goal is to provide my patients with compassionate cancer care that is personalized to each individual. 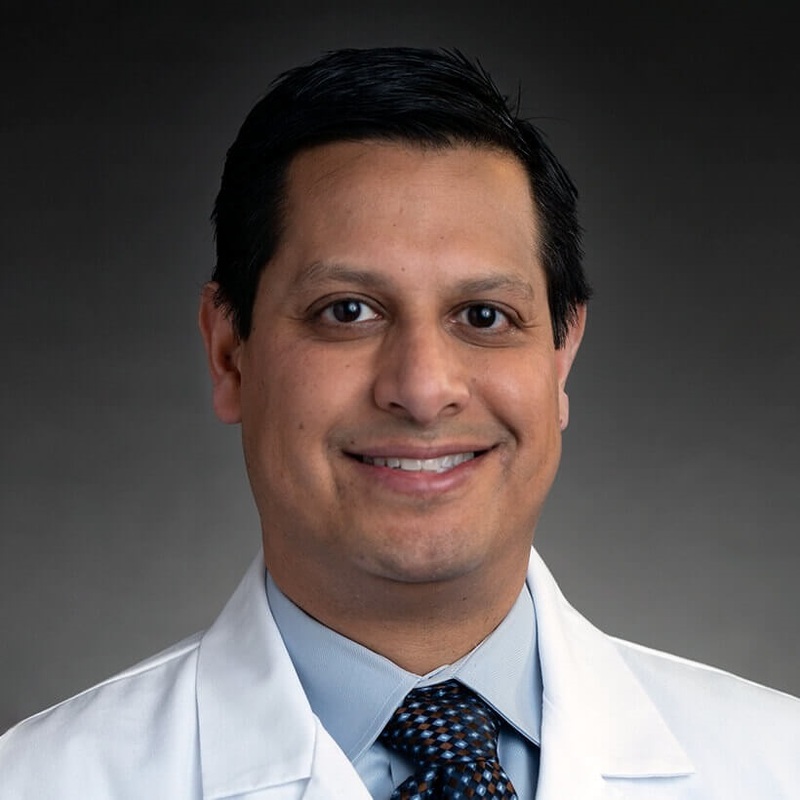 Dr. Neil Mehta brings more than 15 years of radiation oncology experience to his position as Radiation Oncologist at Cancer Treatment Centers of America ® (CTCA) Outpatient Care Center in Downtown Chicago. The center, which is located in the Streeterville neighborhood, offers patients in and around the Chicagoland vicinity convenient access to personalized cancer treatment closer to home. As a radiation oncologist, Dr. Mehta’s goal is to build a relationship with his patients and offer standard-of-care and, when possible, advanced radiation therapies to treat their cancer while helping them reduce and manage potential side effects. “I take pride in offering personalized treatment options and helping patients live with a better quality of life." Dr. Mehta is board certified in radiation oncology, and is trained and experienced in caring for patients using advanced radiation therapies. At the Downtown Chicago center, Dr. Mehta will deliver precise radiation therapy using CyberKnife® and other targeted treatment options. Dr. Mehta received his Bachelor of Arts degree in chemistry and biology at Williams College in Williamstown, Massachusetts, where he graduated with high honors. He went on to earn a medical degree from Rush Medical College, where he was inducted into the Alpha Omega Alpha Medical Honor Society. He then completed an internship in internal medicine at Rush Presbyterian Medical Center in Chicago, Illinois, followed by a residency in radiation oncology at the University of Chicago. After completing his residency, Dr. Mehta served as an assistant professor at the University of Chicago, where he was involved in a number of research activities, including directing protocols, authoring publications and presenting data. Dr. Mehta has years of experience in various clinics and hospitals delivering radiation therapy to treat several cancer types. In addition to his work, Dr. Mehta is passionate about playing ice hockey and enjoys spending time with his wife and two children.